Oleamide is a derivative of Oleic Acid (major omega-9 fatty acid form Olive Oil) with a nitrogen group, and appears to be naturally associated with sleep; injections induce sleep and activate the same receptors as Marijuana. Our evidence-based analysis on oleamide features 61 unique references to scientific papers. Oleamide (cis-9,10-octadecenoamide) is a molecule produce endogenously from Oleic Acid (the omega-9 fatty acid known to be associated mostly with Olive oil) and first isolated in human serum in 1989. Oleamide appears to accumulate in the brain and cerebrospinal fluid (CSF) during sleep deprivation, with extension of sleep deprivation 6 hours beyond normal sleep time causing a 4-6 fold increase in Oleamide content of CSF, and is likely to be relevant to all species investigated as Oleamide is common across species. 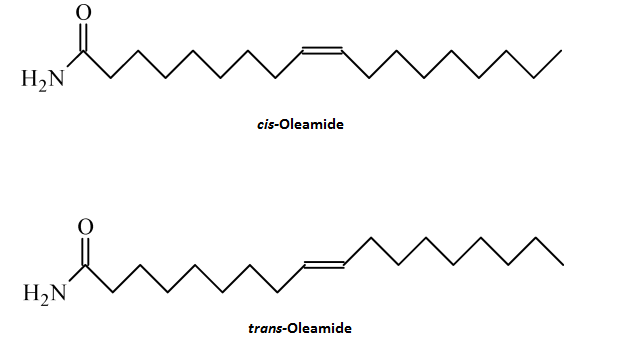 Oleamide tends to refer to cis-oleamide and the trans-isomer appears to be unable to mediate numerous biological effects on gap junctions, serotonin receptors (5-HT2A and 5-HT2C), and GABAA receptors. There is limited efficacy on the 5-HT1A receptor, with about half the efficacy as the cis isomer and injections of the trans isomer appear to be around half as effective as the cis isomer. Oleamide has been noted to be synthesized in brain slices incubated with both oleic acid and ammonia which is mediated by enzymes as boiling the brain slices (denaturing enzymes) abolished the synthesis. Oleamide can be degraded into Oleic acid via the membrane enzyme Fatty acid amide hydrolase (FAAH), the same enzyme that metabolites anandamide (arachidonoyl ethanolamide) and bioactives in marijuana. Interestingly, inhibiting this enzyme has been noted to inhibit synthesis of oleamide (mouse N18TG2 cells) although the exact biosynthesis route is note yet determined. What appears to be known is that oleic acid is converted into Oleoyl-CoA and then N-Oleoylglycine where oxidative cleavage of N-Oleoylglycine by the enzyme peptidylglycine α−amidating monooxygenase (PAM) creates oleamide. It should be noted that the intermediate N-Oleoylglycine appears to be biologically active as well. 4 hours of incubation at 37°C does not appear to structurally damage oleamide, although introduction of bile acids is able to accelerate metabolism and destroy 95% of oleamide under the same conditions. Basal serum levels of Oleamide in a human appear to be approximately 31.7μg/ml (110μM) or lower (9.9 μg/L (35nM) and 16 μg/L (56nM)) and in mouse neuroblastoma cells concentrations appear to be 1.5 μg/109 cells. Anandamide is known to activate the TRPV1 receptor but the interaction with oleamide is unknown; administration of a TRPV1 antagonist (Capsazepine) does not appear to alter behavioural effects of oleamide. Oleamide has been found to inhibit dye transfer between isolated glial cells expressing α1connexin and cells expressing β1connexin with a maximum efficacy at 50μM, but does not appear to inhibit Ca2+ wave propogation; the latter was successfully blocked by 18β-glycyrrhetinic acid (bioactive of licorice), a classical gap junction inhibitor. It is unsure if these effects occur in the body due to the higher concentration being required, but if they do occur then they may underlie very slight anti-epileptic effects. Oleamide appears to interact with sodium channels on neurons (high voltage sodium channels being important for neuronal action potentials), as it can block a veratridine induced depolarization independent of influencing potassium signalling (IC50 of 13.93μM) and was able to reduce the veratridine induced spike in calcium influx without affecting basal concentrations. Inhibitory effects have also been noted against batrachotoxinin A (on tetradotoxin sensitive channels) and, due to increasing dissociation without influencing the association constant, it is thought that oleamide allosterically modulates the channel. The concentration range it works at (3.2-64μM) at the same concentrations it is active on GABA and Glycine receptors, suggesting that it may contribute to the depressant effects. Cis-oleamide has also been noted to suppress sustained repetitive firing with an EC50 of 4.1μM, and this is thought to be related to the inhibition of sodium channels. On 5-HT2A receptors, 10-300nM of Oleamide is able to potentiate serotonin-induced recpetor signalling as assessed by Phosphoinositide Hydrolysis, with 100nM causing a 228% enhanced signalling effect without influencing signalling per se. This potentiation on 5-HT2A (165-170% at 100-1000nM in another study) has been replicated and has been shown to extend to 5-HT1A and 5-HT2C (360-570% at 100-1000nM) with concentrations as low as 1nM having a visible effect with no significant influence on 5-HT3 receptors. Oleamide does not affect ligand binding of serotonin to the 5-HT receptors. The above potentiating effect does not appear to be due to modifying the EC50 value of serotonin (which is unmodified), but appears to be through enhancing post-receptor signalling independent of serotonin binding efficacy. Additionally, all of these effects appear to be critically dependent on the omega-9 desaturated bond as modifying this omega-9 fatty amide into an omega-6 reverses its potentiating properties while saturating the bond abolishes it. On 5-HT7 receptors, Oleamide can act as a direct agonist with an EC50 value of 4.2nM in the absence of serotonin. Serotonin itself had an EC50 value of 52nM, and it appeared that Oleamide (in the presence of serotonin) acted as a competitive inhibitor on the 5-HT7 receptor (specifically, an insurmountable antagonist). The effects of both serotonin and Oleamide on the receptor were inhibited by ketanserin by about 65, and Oleamide was determined to not bind to the classical binding site on the 5-HT7 receptors. Pretreatment with fluxetine or fenfluramine (serotonin reuptake inhibitors) is able to inhibit the increase in sleep observed with Oleamide as did the 5-HT1A agonists Busiprone and 8-OH-DPAT, despite the latter class not inherently influencing sleep. The 5-HT1A antagonist WAY100635 did not augment Oleamide induced sleep, but it prevented other agents from reducing the induction of sleep by Oleamide. Oleamide does not appear to have much affinity towards glutaminergic receptors including NMDA, AMPA, and metabotropic glutaminergic receptors. Oleamide is known to enhance GABAA dependent currents with efficacy as low as 3.2μM and in a reversible manner. This positive modulation is only seen with the cis-oleamide isomer as the trans form is inactive, and GABAA receptors containing β1 subunits (which may be insensitive to some depressants) are still positively modulated by oleamide. Maximal enhancement of GABAA signalling reaches 216+/-35% of baseline and has an EC50 of 28.94+/-1.4μM and elsewhere has noted a two-fold increase with a lower EC50 values (15μM). Oleamide does not significantly affect ligand binding to the GABAA receptors, nor is GABA uptake into synaptosomes affected. Glycine receptors appear to be positively influenced by oleamide in the same way GABA receptors are, with a maximal enhancement to 171% of baseline and an EC50 of 22.12μM, with the EC50 of glycine acting on this receptor being reduced from 322.2μM to 239.4μM. Oleamide has failed to show significant affinity for muscarinic cholinergic receptors. Choline acetyltransferase (the mostly cytosolic enzyme of synthesis for acetylcholine) is activated by oleamide and a plant it is derived from, ziziphus jujuba. Mechanistically, Oleamide does not appear to have much affinity for GABAA receptors although it has been demonstrated to potentiate signalling via the GABAA receptor in vitro, which also appears to apply to oleic acid itself (contested). Oleamide does not alter binding of GABA to the GABAA benzodiazepine receptor at concentrations up to 50mM. Oleamide is known to, after intravenous injection, induce a dose-dependent induction of sleep with concomitant decreases in wakefulness and sleep latency (time required to fall asleep) and dose-dependent decreases in body temperature. Injections of 25, 50, and 100mg/kg Oleamide reduce sleep latency by 13, 24, and 33% repectively while 200mg/kg had a 28% reduction (dose dependence not present at this dose). In an open-field test of locomotoin, the ED50 (dose causing half of the observed effect) of reducing locomotion appeared to be an injection of 17+/-1.5mg/kg with another study noting an ED50 of 10-19mg/kg. Other studies have noted dose-dependent decreases in locomotor activity at injection doses as low as 2.5mg/kg, and following injections the reduction in locomotion appears to last up to 60 minutes (most efficacy at 30 minutes) and is normalized 2 hours after injection. This locomotion induced by Oleamide is further reduced 70% with pretreatment of a 5HT1A antagonist while being partly reversed (77%) by a D2 antagonist. In regards to REM sleep, injections of 25-200mg/kg Oleamide in rats failed to significantly influence REM sleep and lower doses (2.5-20mg/kg) also fail to increase REM despite reducing sleep latency. One study has noted an increase in REM sleep with single and 15 days injections of oleamide (25mcg) intracerebrally, but is the least practical research method used (when assessing how oral supplementation would work). Mechanistically, activation of the CB1 receptor is known to impair long-term potentiation (LTP) in the hippocampus and while 32µM of oleamide is unable to per se affect basal LTP it has been noted to attenuate higher than average LTP. 5mg/kg injections of oleamide to mice prior to a spatial learning task (Y-maze) has noted an improvement in performance, which was not seen with 10mg/kg. In a passive avoidance test in rats, 30-50mg/kg oleamide injections has been noted to facilitate memory extinction with no apparent effect on memory recall 24 hours after testing. This test noted that the observed effects were also known to occur with cannabinoids including ananadamide, and since the effects of ananadamide are blocked by CB1 agonists it is thought that this receptor mediates the possible amnesiac effects of oleamide. Working memory has also been found to be impaired with oleamide (as well as ananadamide), which is exacerbated in situations where oleamide degradation is reduced. 0.16-0.32% of the diet for four weeks (mice; totalling 14-16mg daily) as oleamide is able to slightly attenuate the amnesiac effects of scopolamine. Injections of oleamide to rats appear to cause an increase in food consumption over the course of three hours. Despite the endocannabinoid anandamide causing alterations in sexual behaviour, oleamide does not appear to induce any observable alterations in rats. In a rat social interaction test and elevated maze plus, 5mg/kg injections of Oleamide that were too low to influence locomotion were able to exert anxiolytic effects. Administration of 10mg/kg oleamide to male mice appears to exert anti-depressant effects in a forced swim test, with 5mg/kg being ineffective and neither dose affecting female mice. Some analgesic effects have been noted to occur with Oleamide, but 10-75mg/kg appeared to be unreliable and not overly potent in a preliminary rat hot-plate test although it showed promise in a tail-flick test. These moderate efficacy pain-killing effects lasted up to 60 minutes and elsewhere 50mg/kg (but not 30mg/kg) has been noted to increase tail-flick latency for an hour and dissipated thereafter. This latter study confirmed a failure to provide analgesic effects to a hot-plate test. As the tail-flick test is thought to be reflective of spinal analgesia and the hot-plate test supraspinal, this suggests selective analgesic effects of oleamide. In murine microglia cells (neural cells), Oleamide is able to suppress LPS-induced activation (assessed by nitric oxide and PGE2) at 10μM and almost fully abolishing microglia activation at 100μM. This, as well as abolishing Reactive Oxygen Species (ROS) production in the cells, was due to inhibition of PI3K/Akt and NF-kB transactivation which were both downstream of the Cannabinoid 2 receptor (CB2); blocking the CB2 receptor abolishes the anti-inflammatory effects of Oleamide. Oleic acid itself also has anti-inflammatory effects, but weaker and not mediated via the CB2 receptor. The CB2 receptor is expressed in microglia and has been previously shown to exert anti-inflammatory and neuroprotective effects in microglia. Oleamide has been noted to prevent binding of agonists (CP55,940 and rimonabant) to the CB1 receptor with no significant influence on CB2 binding affinity. There is some activation of the CB1 receptor seen with oleamide, but this is also abolished with coincubation of rimonabant. 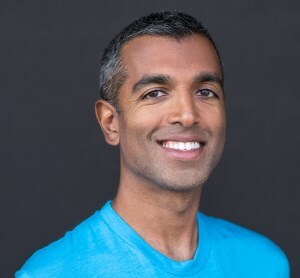 It has, however, been argued that these effects are not relevant due to high concentrations used in vitro (10μM) which may not be acheived following oral ingestion. Oleamide has been investigated for its potentially addictive properties as it is known to enhance signalling at the GABAA receptors, which is the pharmacological effect of benzodiazepine drugs (via the benzodiazepine binding site, located on GABAA receptors). A test administering Oleamide for 10 days (30mg/kg twice daily to rats) and then abruptly stopping treatment failed to find evidence of withdrawal, as withdrawal symptoms were not different between Oleamide condition and control. Coadministration of CB1 antagonists seems to cause withdrawal symptoms with the aforementioned dosing regiment, but they are to a lesser degree than opiates and anandamide. Administration of oleamide for 15 days followed by abrupt cessation does not appear to negatively impact sleep when compared to control rats, although the enhancement of REM sleep seen with oleamide treatment was lost. Oleamide is able to induce concentration and endothelium-dependent relaxation in arteries (0.01-10μM) with an EC50 of 350+/-260nM, with oleic acid and other FAAH metabolites not being involved in the observed vasorelaxation. These observed effects are mediated in part by the Cannabinoid Receptor 1 (CB1) and the non-CB1/CB2 antagonist O-1918 (Cannabinoid antagonist targeting other receptors) as well as TRPV1 (antagonist partially inhibited the effects of Oleamide) whereas elsewhere endothelial cells precontracted with an α-adrenergic agonist also noted vasorelaxation (EC50 of 1.2μM) but by mechanisms not related to the CB1 receptor and instead partially reliant on TRPV1 and nitric oxide. ^ a b c Stereoselective modulatory actions of oleamide on GABAA receptors and voltage-gated Na+ channels in vitro: a putative endogenous ligand for depressant drug sites in CNS. ^ Effects of Oleamide on Tetrodotoxin-sensitive Sodium Channels Investigated. ^ a b c Unique allosteric regulation of 5-hydroxytryptamine receptor-mediated signal transduction by oleamide. ^ a b Structural requirements for 5-HT2A and 5-HT1A serotonin receptor potentiation by the biologically active lipid oleamide. ^ a b c d e f g h The sleep hormone oleamide modulates inhibitory ionotropic receptors in mammalian CNS in vitro. ^ a b c d Effect of Oleamide on Sleep and Its Relationship to Blood Pressure, Body Temperature, and Locomotor Activity in Rats. ^ A Critical Analysis of the Experimental Evaluation of Nociceptive Reactions in Animals. ^ a b Oleamide is a selective endogenous agonist of rat and human CB1 cannabinoid receptors. ^ Oleamide: a member of the endocannabinoid family?.